Fatima Cardoso, MD - Play for P.I.N.K. Male breast cancer is a rare disease accounting for less than 1 % of all breast cancers and 1 % of all cancers in men. Knowledge about this disease is still scarce and management is largely extrapolated from female breast cancer. Drs. Cardoso and Giordano are leading an international effort to characterize the biology of male breast cancer to develop better treatments and improve outcomes for men with breast cancer. The project consists of a retrospective analysis of tumor samples and clinical data, a prospective registry of men with breast cancer and a clinical trial to test new treatments. Dr. Cardoso is the Director of the Breast Unit of the Champalimaud Cancer Clinical in Lisbon, Portugal. She earned her medical degree at the University of Porto in Portugal and completed fellowships in the Translational Research Unit of the Jules Bordet Institute (IJB) in Brussels, Belgium, and the Department of Molecular and Cellular Oncology at MD Anderson Cancer Center in Houston, Texas. She then worked for 10 years as Assistant Professor at the Medical Oncology Clinic of the IJB where, besides her clinical work, she was active in the Translational Research Unit and was responsible for phase II-III trials in breast cancer. She is board certified in medical oncology and internal medicine. Dr. Cardoso’s research interests include biology of breast cancer, prognostic and predictive markers of response to systemic therapy, and new anticancer agents. She is actively involved in a number of phase I-III breast cancer clinical trials and served as the scientific director of the international research network TRANSBIG for 7 years (EU Framework VI). Dr. Cardoso is actively involved in numerous professional organizations such as ESMO, ECCO, EORTC, ASCO, and AACR where she serves on several committees, is a Board Member and Chair of the National Representatives Committee of ESMO, the current EORTC Secretary General and chair of the EORTC-Breast Cancer Group. 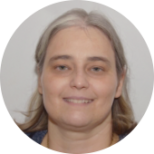 She is also the Breast Cancer Program Coordinator of the European School of Oncology and co-chair of the Advanced Breast Cancer International Consensus Guidelines Conference (ABC). Dr. Cardoso is editor-in-chief of The Breast Journal, associate editor of the European Journal of Cancer, and an editorial board member of several other journals. She was awarded the prestigious Order of Santiago da Espada for Scientific Merit from the President of Portugal in June 2015. Dr. Cardoso has authored over 230 publications and has presented her work nationally and internationally.